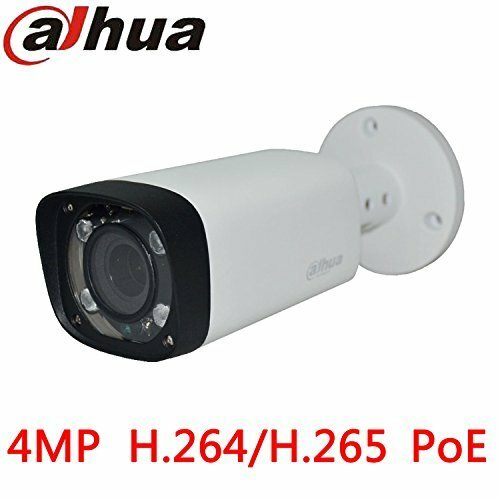 1/3" 4Megapixel progressive scan CMOS, Max Image resolution 4M(2592x1520),high-resolution real-time and high frame rate image output. Support 3 stream at the same time output,H.264 High profile, H.264 Main profile, H.264 Baseline, MJPEG, H.265 multiple encoding formats, high compression ratio, ultra low bit stream. Day/Night(ICR),IR-CUT automatically switches,80m Max. infrared distance.Using high-performance anti-light performance infrared light, 24 hours a day to achieve monitor. Support ROI,120dB wide dynamic, 3D noise reduction, light suppression, backlight compensation.Support network disconnection, IP conflict, mobile detection, video occlusion, cross - border intrusion, regional intrusion, scene change intelligent alarm. NOTICE:This is International Version NOT Support Upgrade Firmware,any question please contact us. If you have any questions about this product by Amazinipc, contact us by completing and submitting the form below. If you are looking for a specif part number, please include it with your message.